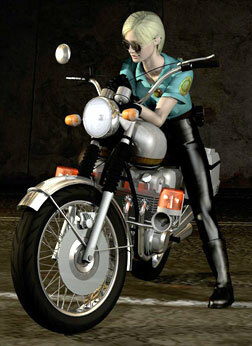 Cybil Bennet is a police officer in Silent Hill. According to some lists, she is coded as a lesbian character. This may be even more obvious in the film adaptation of the game. There appears to be no explicit indication of her sexuality in the game, however. This entry was posted in 1990s, Queer women, Queerly Read/Rumored on August 31, 2015 by Adrienne Shaw.